The one room in your home that seems to attract the most attention for cleaning is the kitchen. But is it really clean? 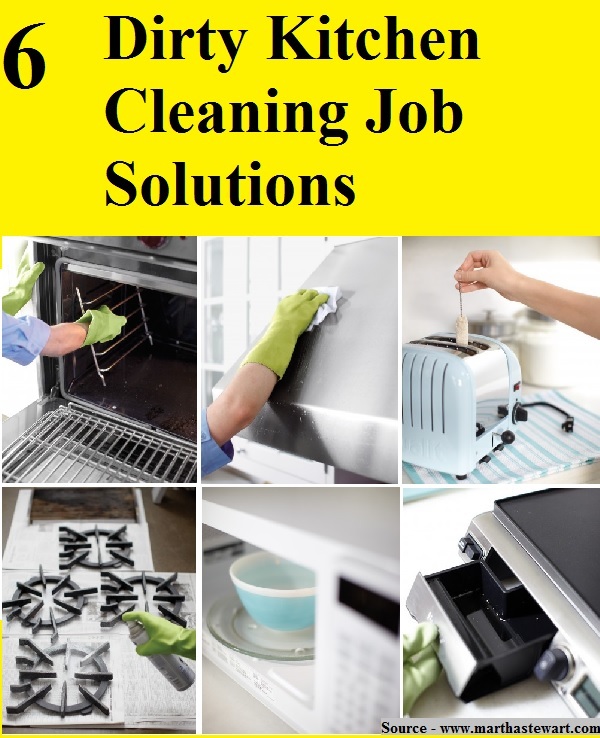 Whether it is the day to day dirt and grime or the after effects of cooking grease and spills on your appliances, the kitchen needs to be thoroughly cleaned every so often. With these solutions you can tackle 6 of the dirtiest spots in your kitchen. Thanks to marthastewart.com for these kitchen cleaning ideas. Follow the link below to learn more.